Saudi Arabia is the lynchpin of a US-backed regional bloc against growing Iranian influence in the Middle East but the murder of journalist Jamal Khashoggi at its consulate in Istanbul on Oct. 2. has prompted a global outcry and strained Riyadh's ties with the West. 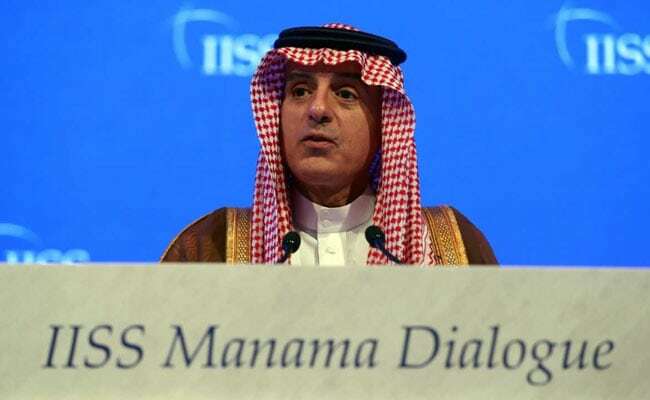 Saudi Arabia's Foreign Minister Adel bin Ahmed Al-Jubeir speaks during the second day of the dialogue. Saudi Arabia and key ally Bahrain said on Saturday that Gulf states are playing a critical role in maintaining stability in the Middle East by combating Iran's "vision of darkness", as Riyadh faces its worst political crisis in decades.